This Pilgrimage took place on a Cruise Ship that sailed the Aegean waters where St. Paul himself had sailed. 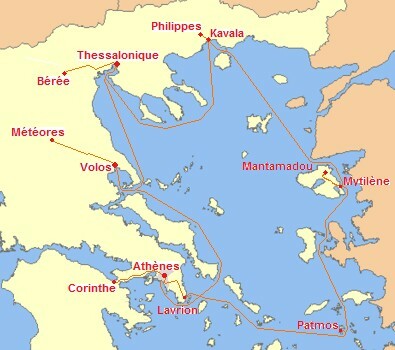 The nearly 800 pilgrims, which included over 100 clergy from many denominations, visited the Acropolis and Corinth on the first day and then sailed to the holy island of Patmos. Sailing by night, the ship took pilgrims to other islands like Lesvos and cities like Kavala, Thessalonica and Veria and pilgrims visited the amazing clifftop Monasteries of Meteora.